AutoArt 1:12 Jaguar D Type #6 Le Mans winner 1955 Mike Hawthorn. 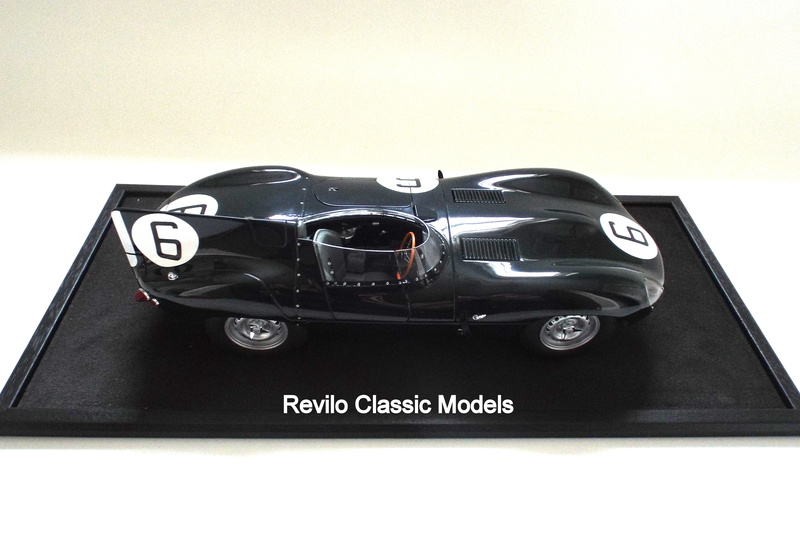 AutoArt signature 1:12 scale D Type (12062). 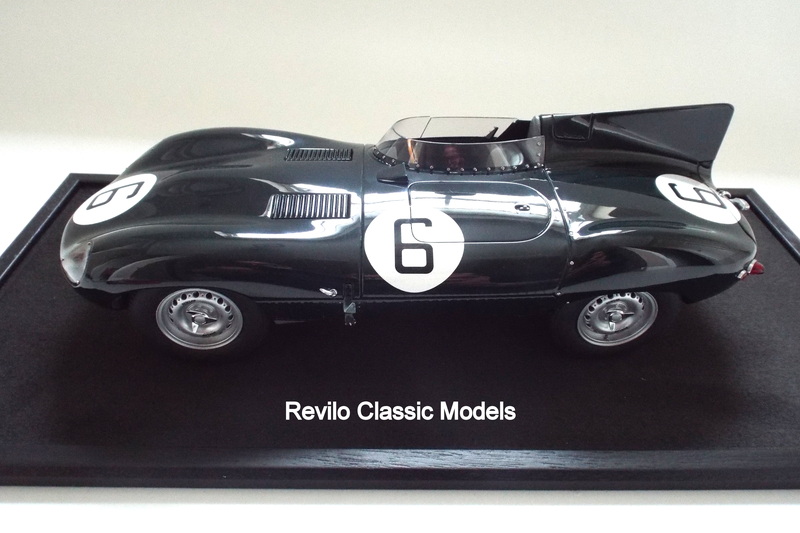 No Longer in Production – Limited production run. 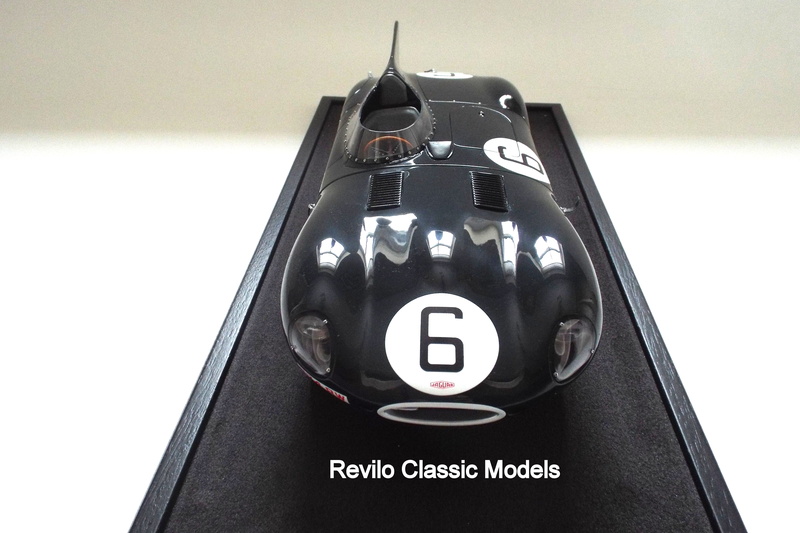 Very rare stunning large scale model of the winning D Type in the 1955 Le Mans 24 Hour race. 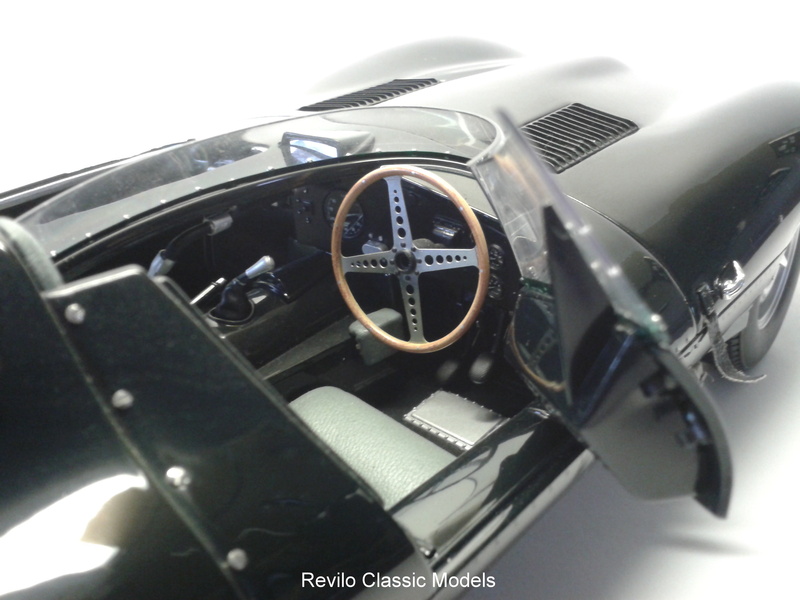 Driven by Mike Hawthorn and Ivor Bueb. 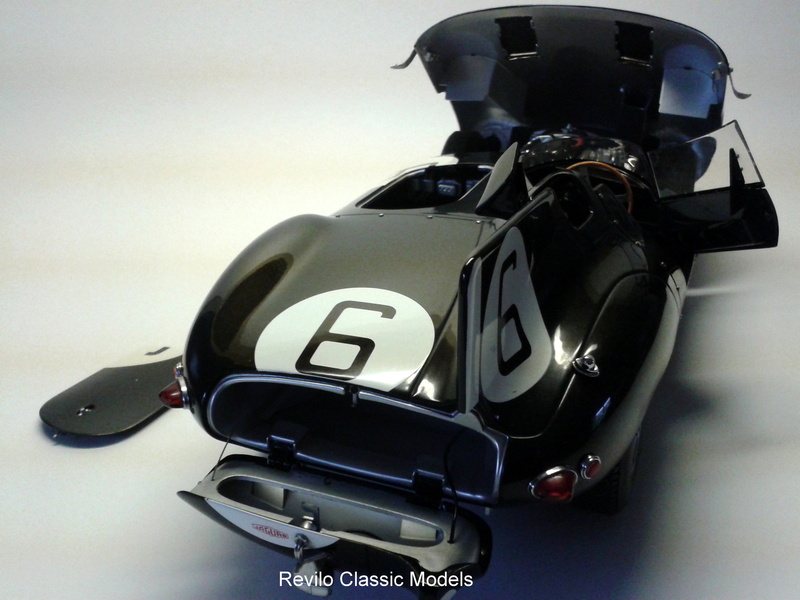 The boot open with the exact spring catch used on the real car, as does the fuel cap. 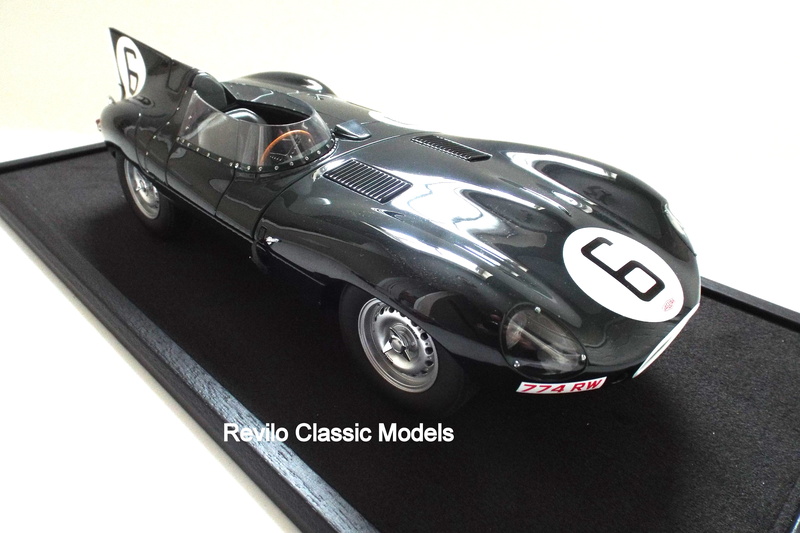 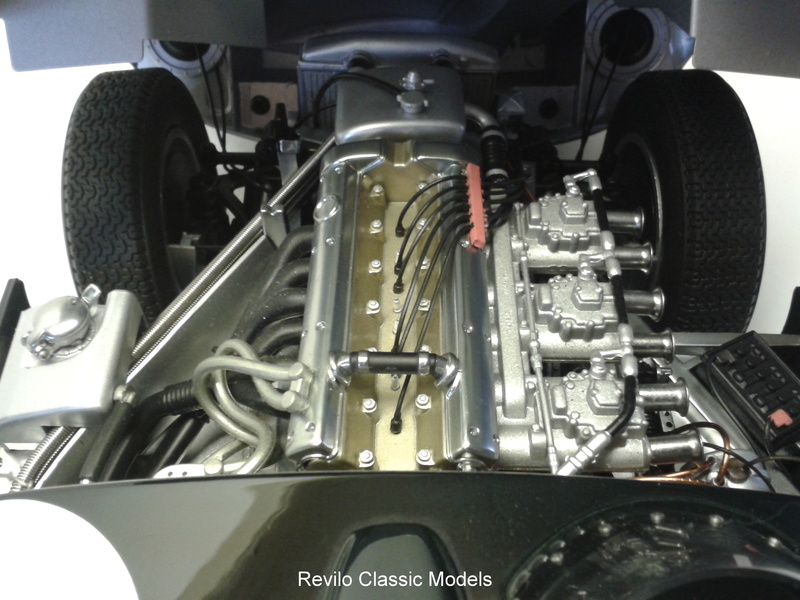 This model always attracts a lot of attention when it is displayed and is one of the most sought after D Type models. 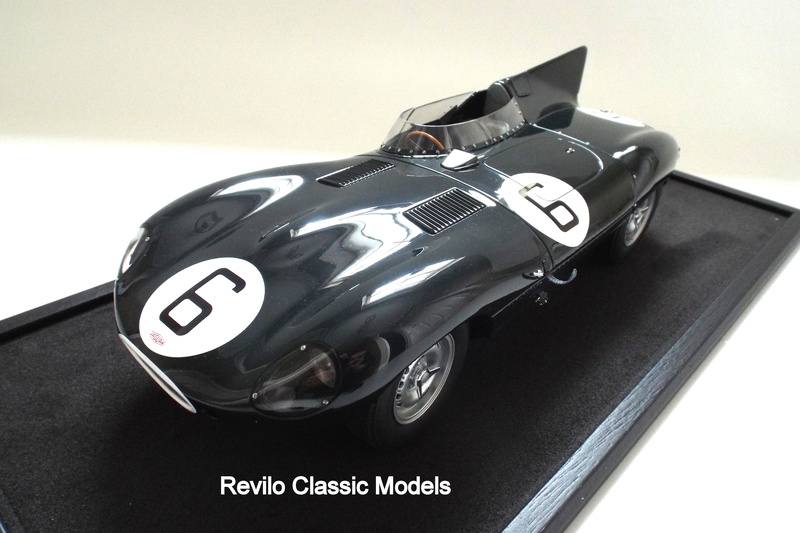 The model is pre owned in excellent condition and comes with its original black box. 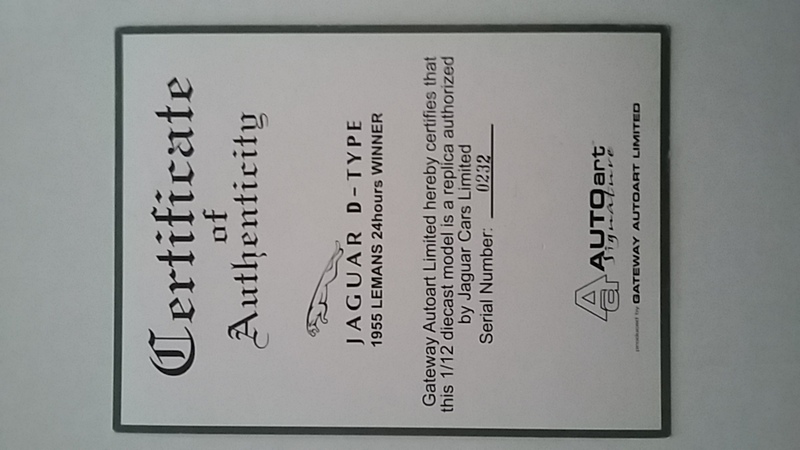 Please also see the original framed photography I have of this Le Mans winning D Type.